April Band Nights at Helga’s! 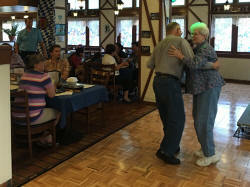 Visit Helga’s for our Band Nights! We are having two Band Night celebrations on Friday, April 26th AND Saturday, April 27th, beginning at 6pm. The "Austrian Connection" is headlining our live music on Friday starting at 7pm and "Rick Borger & The Average German Band" is headlining on Saturday, also starting at 7pm. The Austrian Connection: The band was established as a trio in 1989 and regrouped in 2004 as a quartet. They have a unique sound and captivating stage presence. They have been entertaining since 2004 all over Colorado. 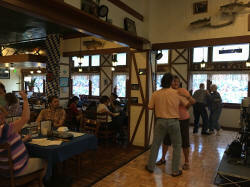 Their musical program spans from traditional Austrian and German music to the latest popular songs / Volksmusik. You like oldies? Swing? Just some variety? Yes they can! The band starts at 7pm. Rick Borger & The Average German Band: Rick Borger & The Average German Band perform waltzes, polka and more at Helga's. The band starts at 7pm. Great food, drinks, live music, dancing, prizes and fun are on the menu this night! Enjoy a free beer tasting plus door prizes. Limited seating, first come first served. PLUS - Stay for our Late Night Happy Hour from 8-10pm! Enjoy $1 OFF beer, wine and mixed drinks, $1 LARGE Pretzels, and our $4.99 Happy Hour menu!